We are currently offering three publications to our readers. On the State of Being is a basic introduction and study to help broaden the acceptance of the conscience reality and to bridge greater awareness to the idea we are more than a physical being, but rather an eternal intelligent energy with purpose and reason. This publication is available on Amazon in both paper back and Kindle editions. The Illusion of Self opens the reader to challenge the perception the Ego creates within the physical mind. From birth we form our concept of self through ideas, actions and reactions of the life experience. It is a composite of all the influences of our lifetime; our struggles, our likes, dislikes, our wants and desires. It continues to develop through life’s challenges, creating in itself the illusions of an idea of “what is.” In reality, it’s all an illusion of how we observe life. The Illusion of Self exposes these perceptions and directs the reader to consider Truth and its meaning. We may think we know our self, but do we really? Is life an illusion or is there a dimension of existence evading our physical consciousness? These are queries great minds and philosophic thinkers have attempted to reason for millennia. There is a mystery however, confounding our awareness where our physical perceptions seem to direct us one way while our spiritual-intuitive self lead us in another. The course of our life journey has unique pathways affecting choices, relationships and circumstances occurring either consciously or unconsciously. 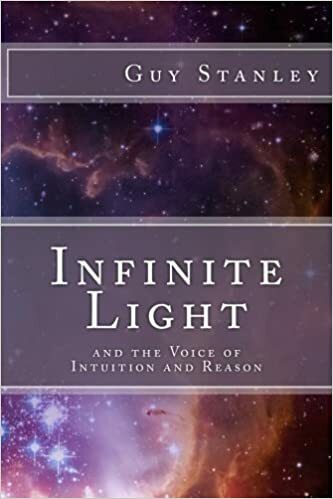 Infinite Light reveals some of the contradictions facing us in determining what is “real” and what is “illusion.” This study gives emphasis to the contention, regardless of our actions, everything we confront and everyone we encounter have a specific purpose and reason shaping our human journey and life destiny. It is as if we are under the guidance, influence and direction of a Divine Universal Intelligence beyond our physical ability to fathom. Discovering our true self is a process whereby we recognize this Greater Something moving about, around and within our life developing who we are and are becoming. As we learn to know this true being within there is a form of enlightenment consuming our physical self with the authenticity of Reality intuitively, knowingly and quiet gentle affirmation. Infinite Light concludes by presenting L E A P whereby we find our true self, our Infinite Self, through Life accentuating our essence, establishing our illumination by the human Experience and granting our Ascension into a higher consciousness to know and understand the reason for the Purpose of the human experience.